From 25th April 2012, Indians can obtain a visa on arrival by paying a fee of 85 Euros for a maximum stay of 90 days. Indians need to hold proof of funds to cover their stay and tickets to their onward destination. From 1st January 2012, Indians visiting Sri Lanka for tourism or business purposes up to 30 days need to apply for an Electronic Travel Authorization (ETA) before travelling. Only holders of an approved ETA will be issued with a visa on arrival in Colombo. ETA costs US$10 and can be applied online at http://www.eta.gov.lk/slvisa/visainfo/center.jsp. An ETA can also be applied on arrival in Colombo however if a referral notice is served then the applicant will be refused entry and returned to their original destination. From 1 January 2012 to 31 December 2012, Indians visiting Croatia for tourism purposes do not need a visa if they hold a valid Multiple Entry Schengen Tourist Visa or a Schengen Residence Permit. The Schengen Visa must be valid for the duration of their stay in Croatia. From 1st July 2011 upto 31st October 2012, Indians holding short term tourist or business visas issued by the United Kingdom do not need a separate visa to enter Ireland for a maximum stay of 90 days or to the end of the validity period of the UK visa, whichever is shorter, provided having first entered the United Kingdom. However, Indians residing in UK on long term UK visas will still need to apply for a visa. From 15th August 2010, Indians will not be able to avail of the Visa on Arrival facility in Malaysia. They will need to obtain a visa before entering Malaysia. From 15th July 2010, Indians do not need an Airport Transit Visa (ATV) to transit through Switzerland while arriving from and departing to a non-Schenegn Member State. Indian nationals can obtain a visa on arrival in Turkey for a maximum stay of one month by paying a fee of 10 Euros or 15 US Dollars, provided they hold a valid Schengen visa or visa issued by the United Kingdom or USA. Any of these visas must be valid for atleast 6 months. The travellers should also show proof of funds of atleast US$50 per day of their stay in Turkey. Tourists visiting Thailand between 11th May 2010 and 31st March 2011 are exempt from paying the tourist visa fee. From 1st May 2010, Indians visiting Bermuda will need a Visa. A Visa in not required for those holding a Permanent Residence Card issued by either USA, Canada or UK. From 1 April 2010 to 31 October 2010, travellers visiting Croatia for tourism purposes do not need a visa if they hold a valid Schengen Residence Permit (not a schengen tourist visa). Holders of a valid Schengen Tourist Visa arriving on cruise ships sailing out of a port in one of the Schengen states also do need a visa for tourism purposes. Indian Nationals holding a valid Schengen Tourist Visa are also exempt from a visa if they are part of a group on an organized trip and in possession of a valid travel health insurance and arriving from the Schengen area. From 19th November 2009, Indians do not need a visa to visit Jordan for tourism purposes. On arrival, they will be given a 2 week entry visa with a “not allowed to work in Jordan” stamp. From the 4th of June 2009, holders of a Permanent Residence Permit issued by the United Kingdom or one of the Schengen States, do not require a visa for a max. stay of 180 days. From the 27th of April 2009, people travelling to France for tourism will have to provide a reservation confirmation issued directly by the hotel clearly stating the visa national’s full names, the dates of check-in and out, the hotel address and contact details. Bookings made via a reservation centre or travel agencies will no longer be accepted. To ensure that visa nationals comply with the legislation in regards to the reality of stay in France, controls will be made prior and after the visa has been granted. Nationals of India who are attending the Formula One event (and holding proof thereof) to be held between April 24 and 26, 2009, will be able to obtain a visa on arrival for a stay of max. 14 days, free of charge. 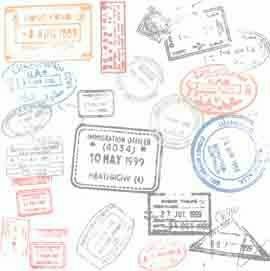 These visas can only be used between April 12 and April 26, 2009. From March 18th 2009, Nationals of India are visa exempt, provided holding approval from online registration and valid visa or permanent resident card from a Schengen member state, Australia, Canada, Japan, New Zealand, United Kingdom or U.S.A.
As of 23rd January 2009, all Russian travel visas in UK will be processed by VFS Ltd and are to be submitted there. From 16th January 2009, visas for Italy in UK can be applied at its Visa Application Centre on 16 January 2009. This service is available to all nationals residing in the South of England and South of Wales who wish to apply for a Schengen visa only for tourism or business. Switzerland has joined the Schengen visa scheme on 12th December 2008 and all Indians will need to apply for a schengen visa if visiting Switzerland for tourism purposes. If the applicant already possess a valid schengen visa issued by other schengen country then they can use it to visit Switzerland. From 17th November 2008, applications of visa applicants holding a C-Visit British visa or with a British Residency valid for 6 months or less will not be processed in UK. Due to the high number of applications received by the Belgium Embassy, the Visa Application Centre in London will process only 60 applications per day on a first serve basis. From 1st November 2008, the Chinese Visa Application Service Centre (CVASC) in UK will only accept visa applications from those who have previously arranged an appointment on-line. From 15th September 2008, applications for a Schengen visa in UK can also be submitted at the Netherlands Visa Application Centre. From 30th June 2008, all visa applicants resident in Great Britain and Northern Ireland must apply for their visa through the online visa application service. Any applications made on old forms; original paper forms or downloaded/ photocopied versions of the new form will be returned with all supporting documents to the applicant, which will delay the application process.